The E shape rail elastic clips are used with concrete sleeper to fasten rails on both sides. The rail clips are usually made of forged spring steel, which are manufactured by hot forging process. The forged rail clipsare considered to be better than other metal forming process due to most uniform microstructure. 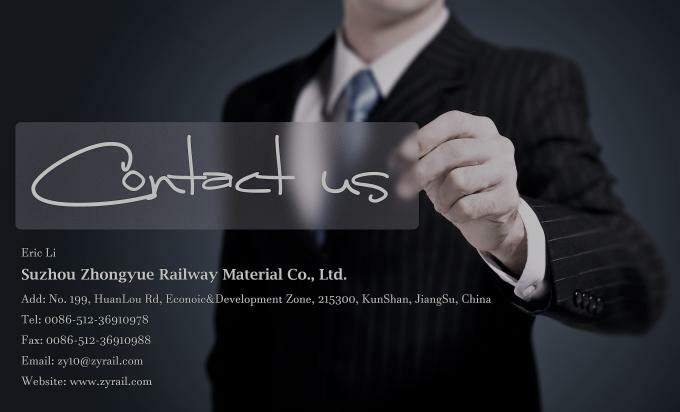 Backed by a modernized manufacturing facility and a diligent workforce, Zhongyue manufacture, supply and export Elastic Rail Clip. 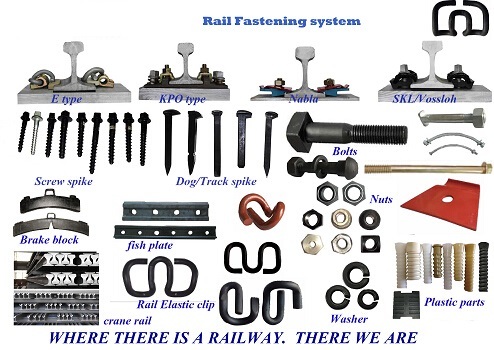 These products find usage in the railwaymen for securing the tracks on the ground. With high elasticity, these products can be molded in varied dimensions. Our clients appreciate these products for their high strength and longer service life with non-corrosive surface. Elastic Rail Clip is packed in special packaging material so that it does not get damaged at the time of dispatch. In our large product line, we also provide Elastic Rail Clip at affordable rate of price. These clips are produced using the best raw material available in the market. These are also properly molded and designed as per the set industrial standard. Rail clips processing procedures are as follow: Shearing-- Heating to forging temperature -- Forming-- Hardening—Tempering — Inspection — Packing. 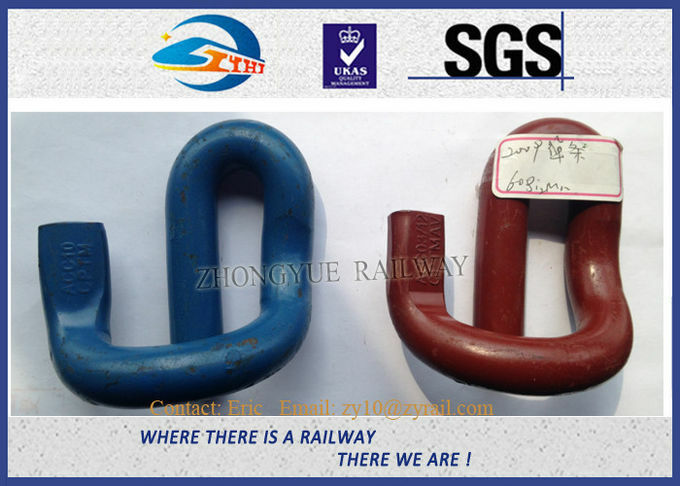 Enriched with rich railway industrial experience, ZhongYue can offer its clients an extensive range of heavy duty rail fastening clips, made up of premium quality and seamless performance, to be used to fasten rails to underlying tie plates. The rail clips produced by ZhongYue are made up of premium grade spring steel sourced from a reliable and certified long term producer. 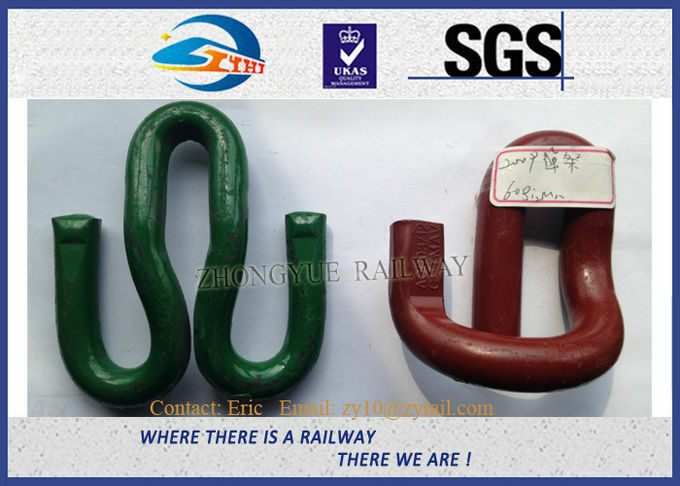 After over 10 years’ experience on producing rail elastic clips, ZhongYue has become the largest and most competitive production base of rail clips in China, qualified to tender nationally large and medium scaled rail projects under the China Ministry of Railways, both at home and abroad. At each single step of manufacturing the clips are stringently tested and completely authenticated. To save time during installation in track, we can provide a special service by pre assembling a SKL clip with a T-bolt and a washer for the customer at our production base before delivery. Besides, corrosion protection layer of the clip surface can be applied. How do we produce rail clips? Raw material: Premium grade spring steel sourced from a reliable and certified long term producer. Shearing: The spring steel bar has to be sheared as per length required. Heating: to forging temperature (950-1000 degrees Celsius), but over heating shall be avoided to check decarburization. Forming: Proper heated bar is transferred to power press for forging. Hardening: The forged rail clips are transferred to quenching tank. Dimensional accuracy and quench hardness of rail clips are checked before tempering. 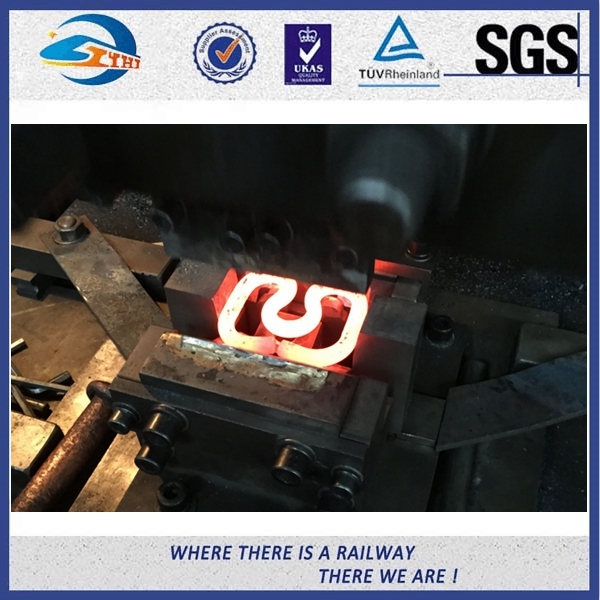 Tempering: The rail clips are tempered at about 350 Celsius to achieve appropriate toughness in the spring. Inspection: The products are then checked thoroughly as per China CRCC and customer required specification and design. Packing: Clips can be packed in woven bags or upon customer requirement. 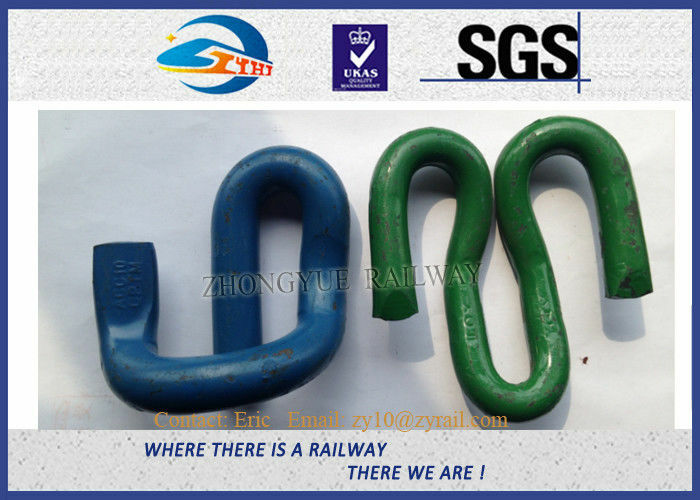 How is the quality control of ZhongYue rail clips? 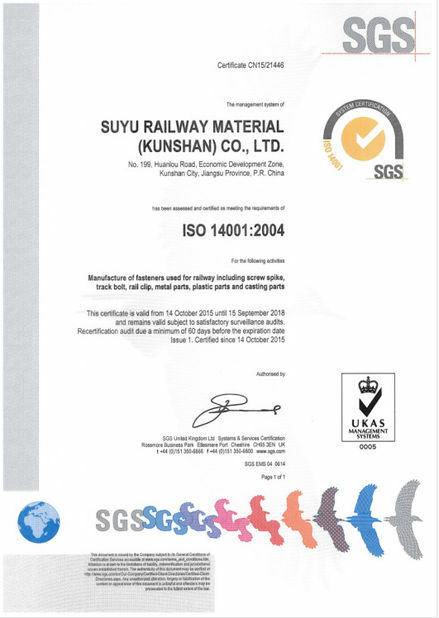 We own a full set of strict quality control system to produce rail clips, from raw material purchasing till the finished clip application. There’s a professional inspection team to check about each process of the production line and every two hour out of the line. Inspection machine for finished rail clips. What does ZhongYue use to inspect the finished rail clips?